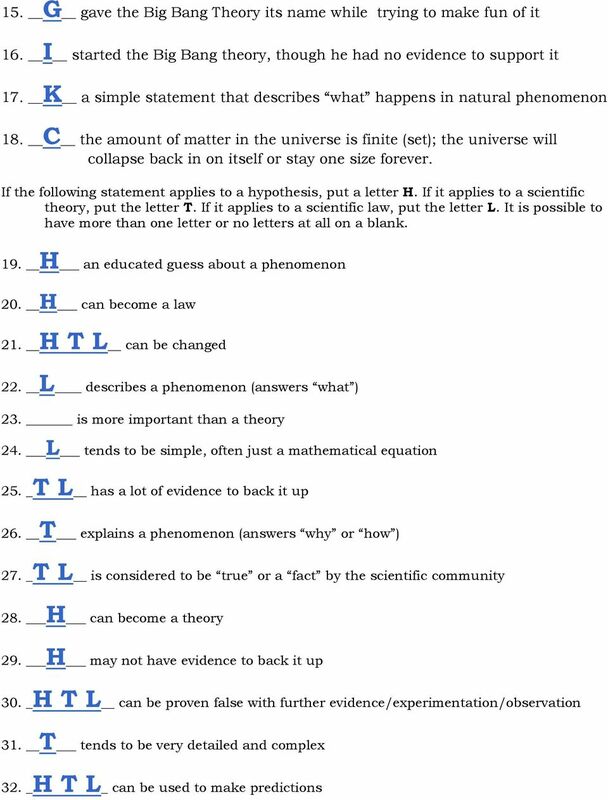 Download "Pretest Ch 20: Origins of the Universe"
3 33. 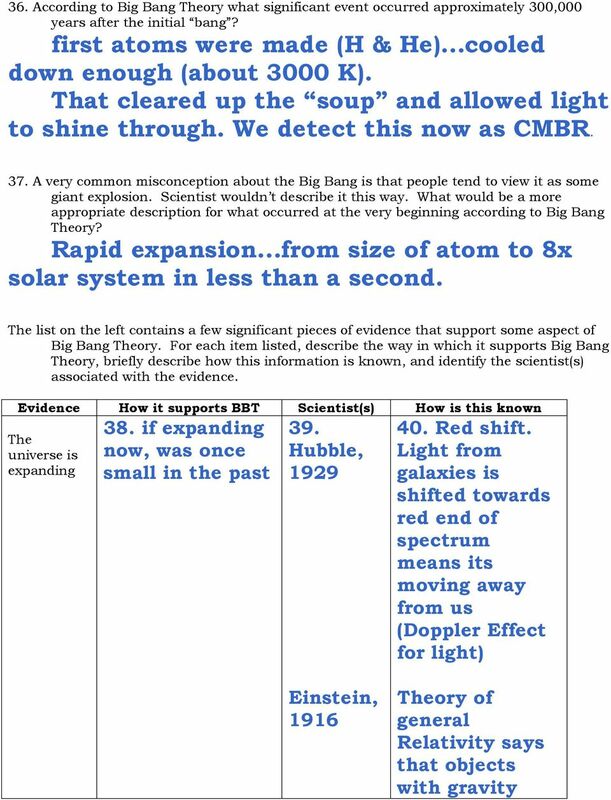 The following list identifies some of the events that have taken place according to Big Bang Theory. Put this list in a proper sequential order in time A. Formation of atoms (nuclei + electrons) B. The 4 fundamental forces of nature become distinguishable C. Supernova create conditions for the nuclear production of elements heavier than iron D. The first particles form from energy E. Something, not yet understood, causes the early universe (all of space and energy) to begin a process of rapid expansion from a singularity F. The first stars form initiating the nuclear fusion process to create the elements up through iron. 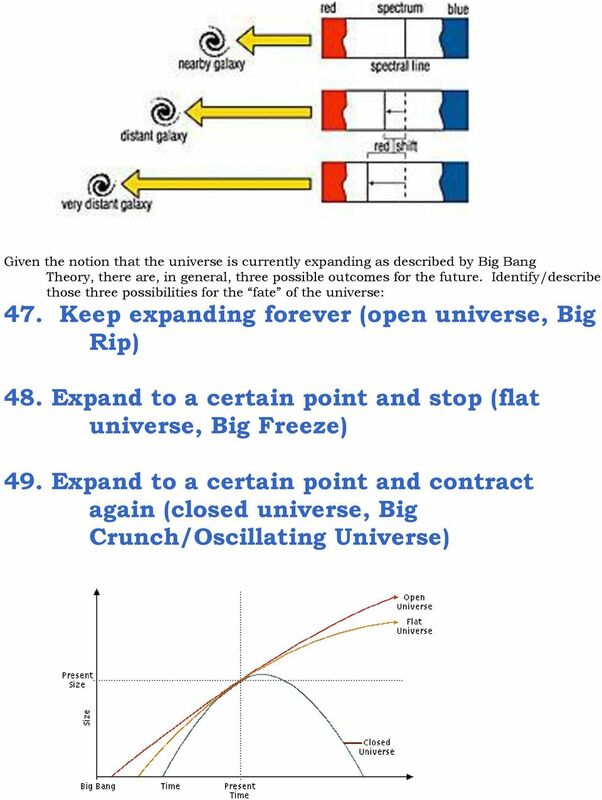 G. Formation of galaxies H. Formation of simple atomic nuclei (combinations of protons and neutrons) E B D H A G F C 34. What needed to happen in the universe before it was possible for the first atoms to form? Cool down so energy could become matter (quarks eventually form atomic nuclei (protons & neutrons) then atoms) 35. What is so special about the time seconds after the initial bang? sec We don t know what happened before that. The models we use rely on 4 fundamental forces of physics.gravity, electromagnetism, weak molecular force, strong molecular force. 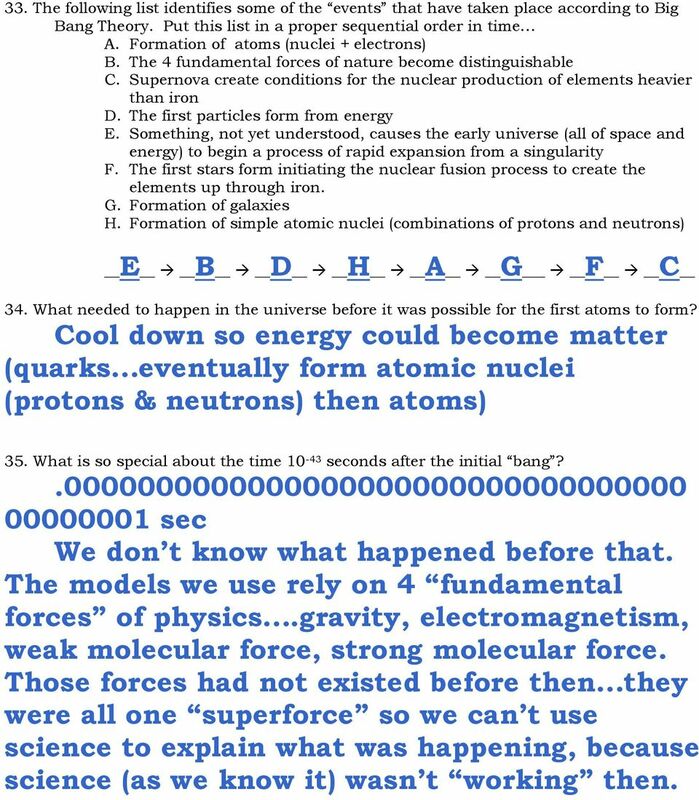 Those forces had not existed before then they were all one superforce so we can t use science to explain what was happening, because science (as we know it) wasn t working then. 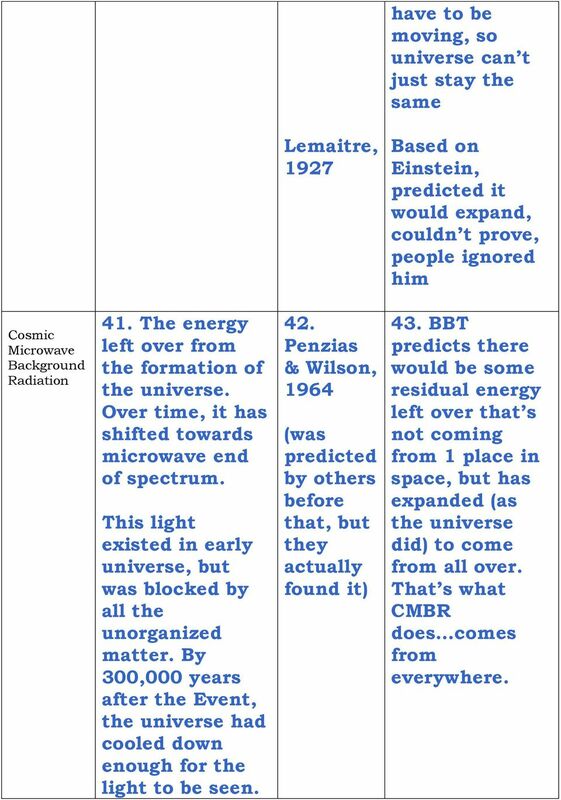 5 have to be moving, so universe can t just stay the same Lemaitre, 1927 Based on Einstein, predicted it would expand, couldn t prove, people ignored him Cosmic Microwave Background Radiation 41. The energy left over from the formation of the universe. Over time, it has shifted towards microwave end of spectrum. This light existed in early universe, but was blocked by all the unorganized matter. By 300,000 years after the Event, the universe had cooled down enough for the light to be seen. 42. Penzias & Wilson, 1964 (was predicted by others before that, but they actually found it) 43. BBT predicts there would be some residual energy left over that s not coming from 1 place in space, but has expanded (as the universe did) to come from all over. That s what CMBR does comes from everywhere. 6 Abundance of light elements (hydrogen and helium) in the universe 44. The conditions in the early universe would only make the simplest of elements Hydrogen and Helium. Thus we should find a lot of hydrogen and helium in the universe today. There have been many contributors to identifying composition % of the universe is Hydrogen and 25% is Helium. Other heavier elements came from stars processes (fusion) and supernovas (star explosions) as predicted by Hoyle. 46. Measurements of the red shift of light from distant galaxies informs scientists that the universe is expanding. What is red shift? Why does this show something is moving away from us? 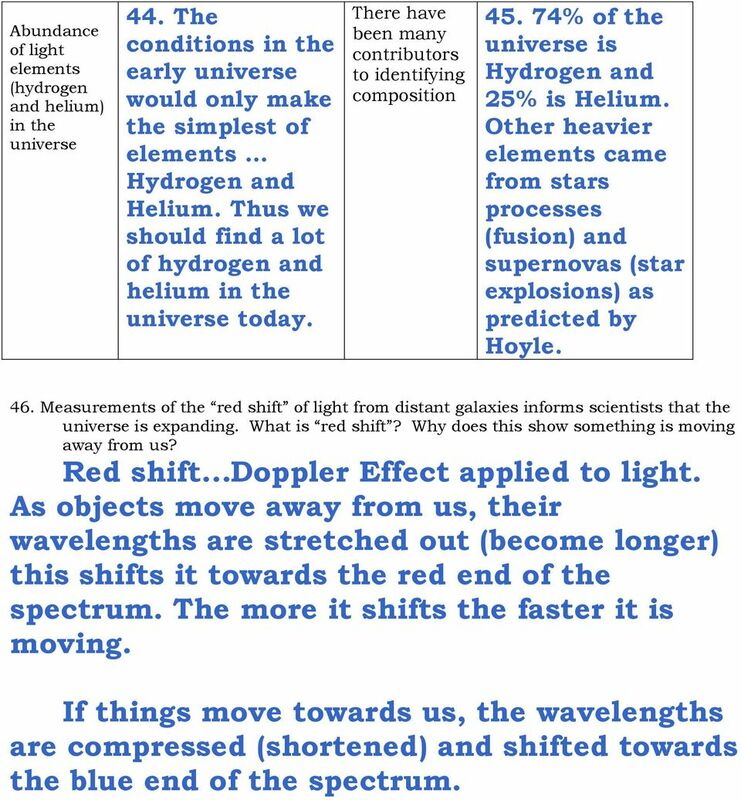 Red shift Doppler Effect applied to light. As objects move away from us, their wavelengths are stretched out (become longer) this shifts it towards the red end of the spectrum. The more it shifts the faster it is moving. If things move towards us, the wavelengths are compressed (shortened) and shifted towards the blue end of the spectrum. Your years of toil Said Ryle to Hoyle Are wasted years, believe me. The Steady State Is out of date Unless my eyes deceive me. 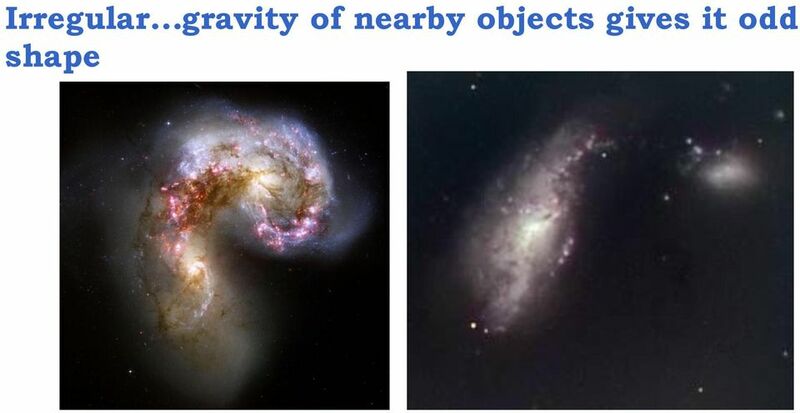 Our UNIVERSE: where it all came from. Interesting note: When the Big Bang theory came out, many Christians embraced it. Why? WHAT EMERGED FROM THE BIG BANG? 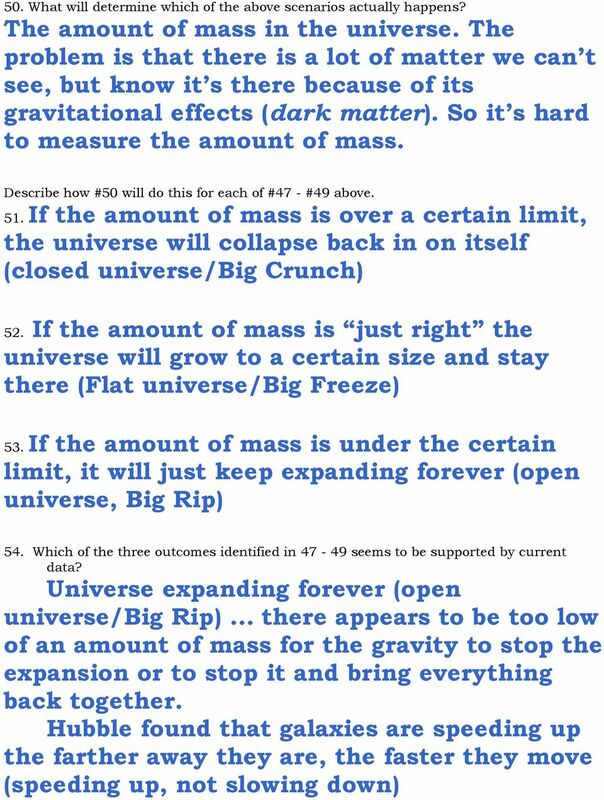 Chapter 15 Cosmology: Will the universe end? Chapter 22 Review Clickers. The Cosmic Perspective Seventh Edition. The Birth of the Universe Pearson Education, Inc.
Lecture Outlines. Chapter 27. Astronomy Today 7th Edition Chaisson/McMillan. 2011 Pearson Education, Inc.
Transcript 22 - Universe A few introductory words of explanation about this transcript: This transcript includes the words sent to the narrator for inclusion in the latest version of the associated video. Exampro GCSE Physics. P2 Fission, Fusion and life cycle of a star self study questions - Higher tier. Name: Class: Author: Date: Time: 68. Universe, Earth, Oceans and Atmosphere. Get ready to have your mind blow n! 1.1 A Modern View of the Universe" Our goals for learning: What is our place in the universe?" 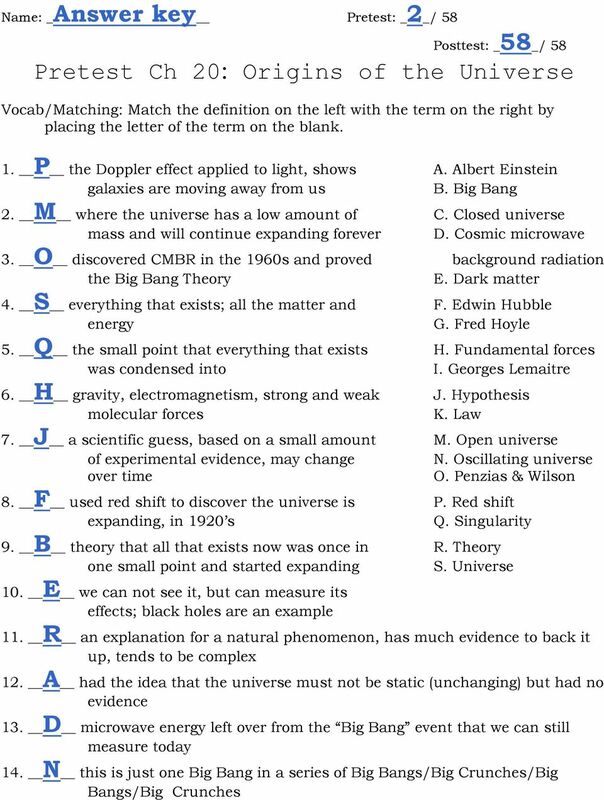 The correct answers are written in bold, italic and underlined. The most important questions to study for the exam are highlighted. 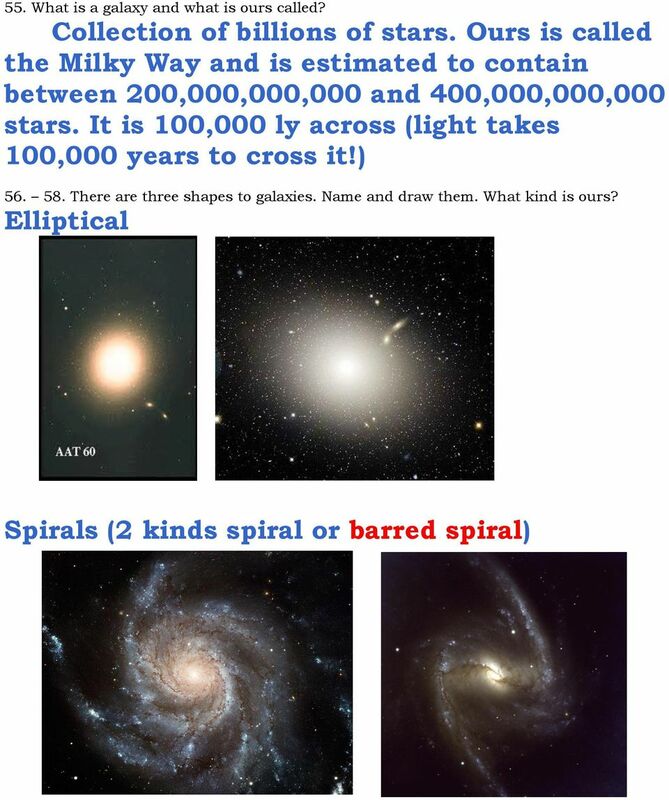 3 HOW WERE STARS FORMED? The facts we know today will be the same tomorrow but today s theories may tomorrow be obsolete.